Driven by a continued shale boom, the United States is on track to produce more crude oil and liquids than Russia and Saudi Arabia combined by 2025, an energy consultancy said. In 2018, the U.S. passed Russia and OPEC-leader Saudi Arabia to become the largest crude oil producer. America’s momentum, led by a shale boom centered around the Permian Basin, is expected to continue if crude oil prices stay above the $50 mark, Rystad Energy said on Jan. 24. 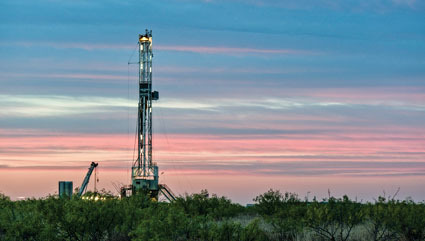 U.S. oil output is expected to rise to a new record of more than 12 million barrels per day in 2019, according to the Energy Information Administration. Rystad said that U.S. liquids output will likely surpass 24 million barrels per day over the next six years, assuming average U.S. crude prices of $58 a barrel during the period. The growth in U.S. liquids production will be driven by major shale basins such as the Permian in parts of Texas and New Mexico, the Rystad report said.